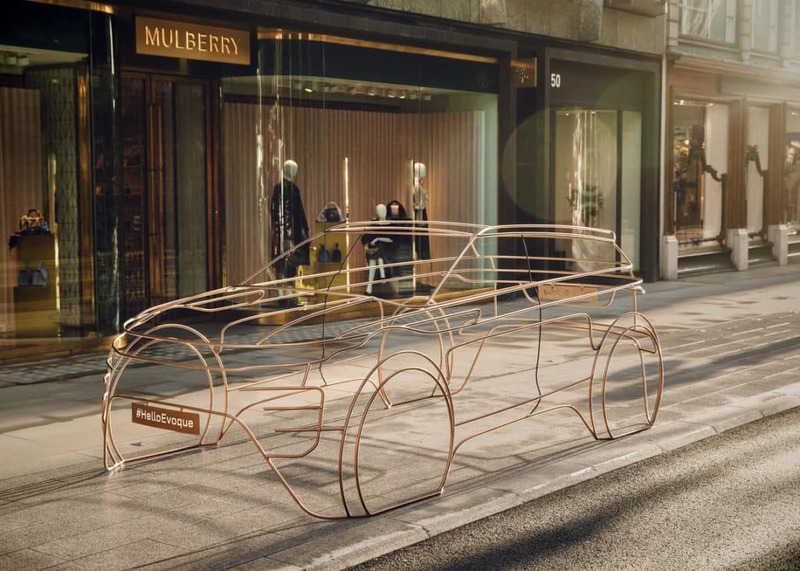 Land Rover is excited about the premier of the new Range Rover Evoque design on November 22. Ahead of the global premier they have provided a glimpse of the modern design through the use of wire form art sculptures. These sculptures were placed in four locations around London and easily caught the attention of by-passers. These brightly-colored full-scale sculptures give just a small peek at the future of the Range Rover Evoque. We will share more details of this exciting compact luxury SUV after it is revealed next week!